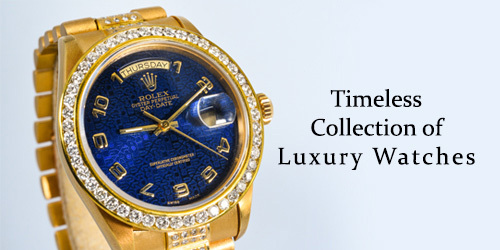 If you are planning to sell jewellery in London, then we at The Luxury Hut can help. From engagement rings, earrings, pendants to vintage necklaces, bracelets or any unwanted old jewellery, we can help you in providing the most accurate value along with instant payment. If you are searching ‘sell my jewellery Hatton Garden’ or ‘best place to sell jewellery online’, get in touch with the experts at The Luxury Hut today. We provide our customers with a professional valuation and instant cash without any obligation and hassle. Here at The Luxury Hut, we buy all types of pre-owned jewellery, right from exquisitely crafted necklaces, engagement rings to gold pendants and diamond studs. Whether you want to sell jewellery online or via appointment, The Luxury Hut will make the overwhelming process of selling more comfortable than ever. For those who are looking to sell second hand jewellery in Hatton Garden, contact one of our team members on 0207 242 5411 or fill up our online form for a fair and professional valuation in next to no time. Why Is The Luxury Hut Different ? With years of experience and extensive knowledge in second hand jewellery market, The Luxury Hut is committed to providing you with a transparent and straightforward service when it comes to selling pre-owned jewellery. As one of the trusted jewellery buyers in Hatton Garden, we pride ourselves in rendering the most competitive and honest price quote possible in the market for any jewellery item. While you work on the persisting emotion attached to your jewellery item when selling it for cash, we continuously work to make the selling process more comfortable and safer, enabling you to secure the most accurate value for your valuables based on its current market price. Thus, if you are looking to sell your jewellery securely and confidently, choose the best place to sell second hand jewellery in Hatton Garden – The Luxury Hut. You can sell jewellery online to The Luxury Hut from all over the UK and Europe via an entirely reliable, insured and special delivery envelope that we may provide or arrange for courier collection if your asset is large or more valuable. The entire process may take as little as two days, right from obtaining price quote to getting paid. To get started – Fill up our online form and acquire your initial valuation shortly after, either by email or over the phone. Although monetising jewellery like diamonds and gold is quite a common choice among the people who are in dire need of money, many individuals also sell jewellery to get rid of negative memories or do not want to clutter up their jewellery box with items that they never wear. Jewellery being a consumer item knows no peripheries and appeals to women as well as men, no matter their age. With such a potentially large marketplace, it may seem convenient or maybe, wise to sell jewellery online. Whether you want to sell jewellery for cash or sell unwanted jewellery for investing in a new asset, you will want to obtain the highest price possible for it. With specialist knowledge and extensive experience in dealing with second hand jewellery, The Luxury Hut is the best place to sell jewellery online with full confidence. We buy both men and women’s jewellery for the most competitive price, making the process more straightforward, secure and quick. Complete our online quote form to begin our process of selling your Jewellery today. Make sure; you provide us with the details about your asset as much as you can, describing its condition, age, material and other relevant aspect associated with it, including quality photos. This enables us to perceive its condition better and eventually, to make a more accurate estimate that you may expect to obtain for your jewellery. You will receive your quote in less than no time. Our simple and straightforward service makes the process of selling less daunting for our valuable customers. How to Sell Your Jewellery in Hatton Garden for the Best Value ? While planning to sell used jewellery, the first and foremost step is always to discern exactly what you have. If you have any paperwork for your jewellery item, it may help to determine its characteristics and authenticity. Jewellery of designer brands such as Cartier, Tiffany, Chopard and others keep hold of their value over the years. While you can expect to secure a high resale value for your designer jewellery item, you can also indeed sell unbranded jewellery to us with full confidence. Materials play an important role in estimating the actual value of any jewellery item. Here, at The Luxury Hut, we consider the metal, karat weight, as well as diamonds and other gemstones that come along with it. While the rule of thumb is that higher the metal karat weight and gemstone carat weight, more valuable the item is, there are also many other additional aspects taken into account to assess the value of diamonds and gemstones. Whether your pre-owned jewellery item is 20 years old or 6 months old, any signs of significant wear and tear like scratches, blemishes or missing gemstones can cause a severe cutback on its resale value. Ideally, documents like the receipt, GIA report, authenticity cards or other gemological lab certificates help to estimate the characteristics of your jewellery accurately while ensuring its authenticity. Although in-house jewellery specialists at The Luxury Hut may prefer to buy a branded jewellery item with original box and documents in pristine condition, you can indeed be able to sell you jewellery to us without them. In fact, you can sell pre-owned jewellery without a designer attachment to The Luxury Hut as easily as any branded item. Call us on 0207 242 5411 to arrange an appointment with our jewellery experts for a professional evaluation and a final offer price. Whether you are looking for ‘sell jewellery for cash’ or ‘sell vintage jewellery Hatton Garden’, it is essential to work with a trustworthy and expert jewellery buyer like The Luxury Hut to obtain a fair and honest price for your used jewellery. Selling pre-owned jewellery may often be a challenging task. At The Luxury Hut, we always work to make the process entirely free and secure for our customers. For those who want to sell their jewellery but do not have enough information, The Luxury Hut is happy to arrange an appointment with its in-house jewellery specialists who are always on hand to assess your item precisely and make an offer based on the current market price. Second, visit our premises in person (by appointment) with your asset and proceed with the next steps. How Do I Sell My Jewellery ? Complete our online form – Providing us with the details of your asset as much as you can, including its condition, age, materials, brand, gemstones (if any) and images. Get an initial valuation by email or phone. If you are happy with our price quote, send your jewellery item to us for a more accurate assessment via a special and insured delivery envelope that we may provide you. Once we receive your valuables, our in-house expert team will carry out an inspection firmly, considering all the essential factors and the details you provide. One of our team members will contact you either by calling or sending you an email with a complete evaluation and final offer. If you accept it, we will pay you via your preferred method of payment. The Luxury Hut has a safe and straightforward online platform, ensuring that you will have a smooth experience when selling your unwanted jewellery online for cash. Bring in your asset along with all the necessary things that add value as well as confirm its authenticity. Our expert team will assess everything with the utmost care and attention and make a final offer based on the current market price. We will pay your cash immediately without any obligation. 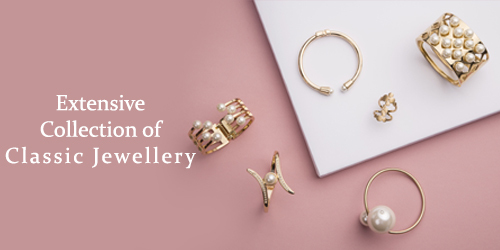 Whether you sell your jewellery online or via appointment, we provide our customers with consistent support to help them sell jewellery in a safe, quick and hassle-free way. Get started with our process by filling our ‘Get a quote’ form and get an initial valuation at no cost to you.